^ 1.0 1.1 Bin Laden Dead, US Officials Say. 纽约时报. [2011-05-02]. ^ Al-Qaeda leader Bin Laden 'dead'. BBC News. 2011-05-01 [2011-05-02]. ^ Bin Laden claims responsibility for 9/11. CNN. 2004-10-29 [2017-05-20] （英语）. ^ Full transcript of bin Ladin's speech. Al Jazeera. 2004-11-29 [2017-06-03] （英语）. ^ Why Was 9/11 Not Mentioned on Osama Wanted Poster?. The New American. 6 May 2011 [1 January 2016] （英语）. ^ Profile: Rex Tomb. History Commons. [2017-06-02]. 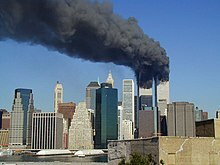 The reason why 9/11 is not mentioned on Osama bin Laden’s Most Wanted page is because the FBI has no hard evidence connecting bin Laden to 9/11. ^ Osama Bin Laden never charged for 911 - Inside Job likely. International Business Times. 2011-05-02 [2017-06-02]. 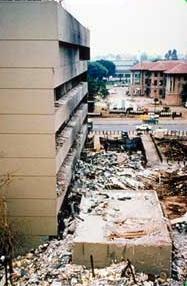 ^ Bin Laden, Most Wanted For Embassy Bombings?. The Washington Post. 2006-08-28 [2017-06-02]. ^ Michael Slackman. Osama Kin Wait and Worry. Los Angeles Times. November 13, 2001 [May 26, 2010]. ^ A Biography of Osama Bin Laden. PBS Frontline. [May 26, 2010]. ^ Aziz Hug. The Real Osama. The American Prospect. January 19, 2006 [May 26, 2010]. ^ Gunaratna, Rohan. Inside Al Qaeda 3rd. Berkley Books. 2003: 22. ISBN 0231126921. ^ Dan Ackman. The Cost Of Being Osama Bin Laden. Forbes. 2001-09-14 [2019-01-13]. （原始内容存档于2019-01-13）. ^ Osama bin Laden killed in U.S. raid, buried at sea. 华盛顿邮报. [2011-05-02]. ^ Mason, Jeff. U.S. handling bin Laden's body in Islamic tradition. 英国伦敦. 路透社. 2011年5月2日 [2011年5月2日]. （原始内容存档于2011年5月2日）. ^ 美中央情报局开始向议员展示拉登尸体照片. 新闻中心_新浪网. 2011-05-12 [2011-05-16] （中文（简体）‎）.